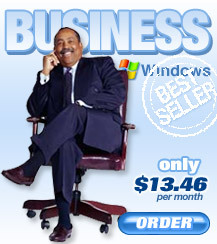 Build a dynamic site and engage visitors with the Shared Windows Business Plan, our most popular plan. Complete with online storefront solution and support for secure credit card processing. Includes powerful server features and email services that enable you to communicate with your valued customers and colleagues.